New silkscreen printed tea towels! I have finally got round to adding a new product to my shop! I am so please with how well this silkscreen print came out, I have already given half of them away to friends, really got to stop doing that. I created this design for my brothers restaurant for his menu covers and thought it would work perfectly on a tea towel. 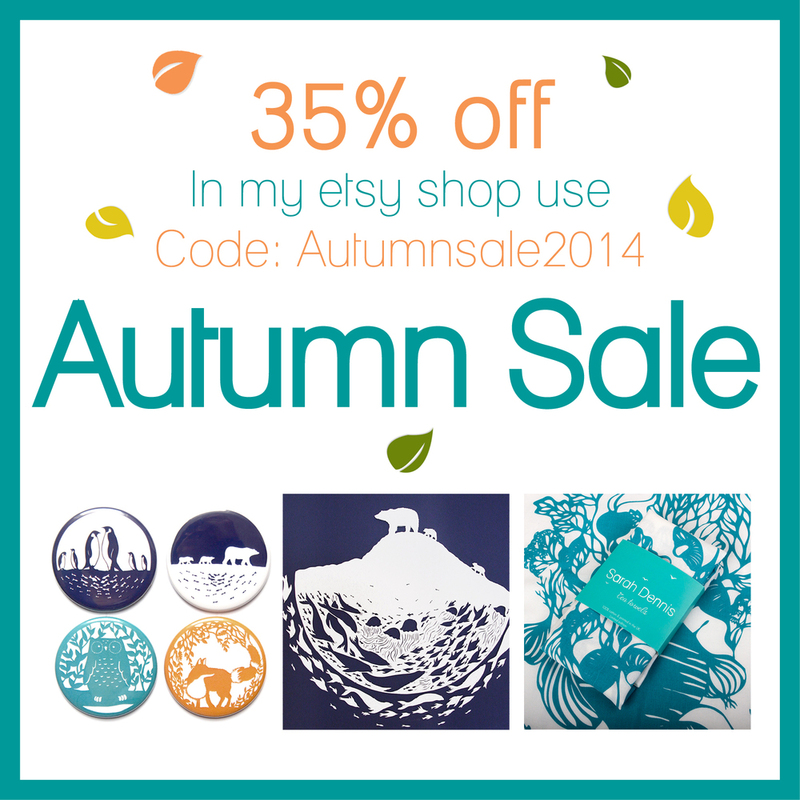 I thought I'd give you all a little treat with an Autumn sale in my Etsy shop. Just use the code Autumnsale2014 at the check out to receive a wopping 35% off!